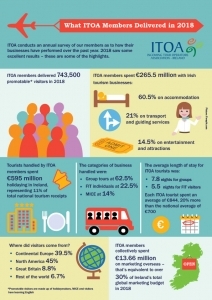 ITOA members complete an extensive annual survey of performance – this info-graphic provides the highlights from our annual survey report – all the statistics you need at a glance. 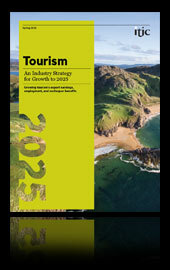 ITIC – The Irish Tourism Industry Confederation Ireland published the industry Tourism Strategy 2025 in March 2018. 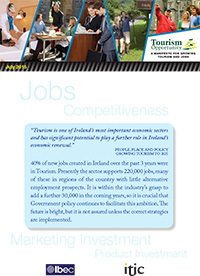 This strategy was devised by the industry and provides a road map for Irish Tourism to 2025. The Strategy provides an overview of the industry and its potential to deliver growth in jobs, revenue and visitor numbers with ambitious targets to meet sustainable growth to 2025. Read More…. 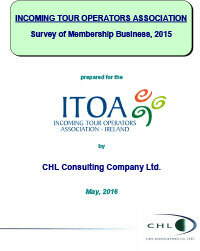 CHL Consulting annually conduct a Survey of ITOA Members Collective Business Performance – The 2017 Report demonstrates the value, size and scale of ITOA members global distribution channel, delivering high value leisure and business tourism visitors to Irish Tourism suppliers nationally; business that stays longer and spends more in every region of the country. For highlights and stats at a glance, this info-graphic provides the key findings of our members 2017 Business performance. 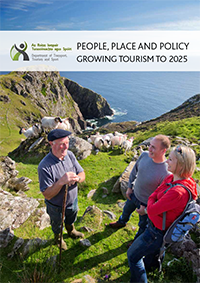 Ireland Tourism Policy 2015 – 2025 : Taoiseach Enda Kenny and Minister Donoghue recently launch the Governments Tourism Policy – a road map on the development of Tourism for the next 10 Years. The Irish Tourism Industry confederation has released the Tourism Opportunities Report – A Manifesto for growing Tourism and Jobs. There are some really interesting facts about the industry and its potential for future sustainable growth. Tourism generated 40% of the jobs created in Ireland between 2012 – 2014, so if this industry did that in difficult times just think of the possibilities for the future. 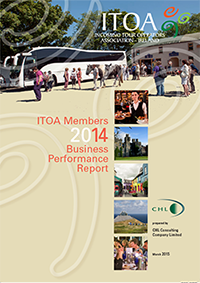 Read about ITOA member business performance in 2015. 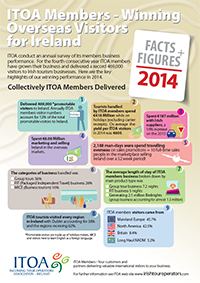 ITOA have been gather statistics on members annual performance for 10 years. This report provides a look back at some of the performance highlights over that period and 2015 outcome. 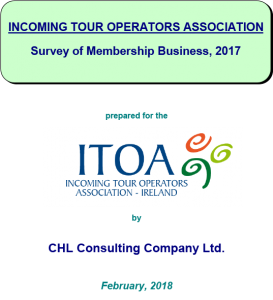 ITOA 2014 Members Business Performance Report – ITOA annually commission CHL Consulting to conduct a survey of members business performance. 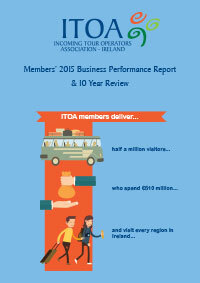 The report provides key insights and results of the Associations Members Business. 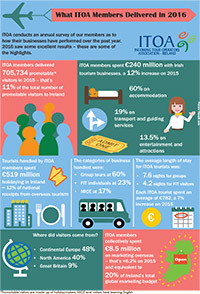 ITOA & Coach Touring Facts & Figures: Want a brief synopsis of ITOA Members 2014 Business and the Coach Tourism Industry in Irelands Value. 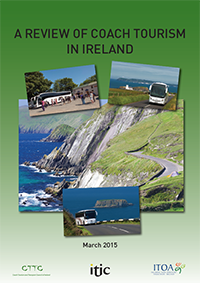 ITIC – A Review of Coach Tourism In Ireland – Coach Tourism in Ireland is one of Tourisms most vibrant sectors with almost 1 Million visitors taking coach tours annually in Ireland.